As you kick-off the summer season, it’s time for a refreshing getaway. The weather is heating up as the sun comes out to play, and what better way to beat the heat than a rejuvenating wine country getaway? Summer’s wine county itinerary presents us with spectacular wineries and regions across the country. Full of breathtaking scenes, rustic atmospheres, nature expeditions, resort living, and beachfront relaxation, this list is your guide to summer 2016. Whether to commemorate a birthday or anniversary, or simply a celebration of life, these destinations are the perfect host. Explore! Placed on scenic Highway 1 between Los Angeles and San Francisco, Cliffs Resort sits on the beach and provides a full-service stay with first-class amenities. As a neighbor to California’s finest beaches, championship golf courses, gourmet dining, farmland, fisheries, and the famous Hearst Castle, travelers never run out of activities and picturesque terrain. Located in the heart of California’s Central Coast wine country, Cliffs Resort is near to more than 200 world-class wineries, with panoramic views of their coastal surroundings. 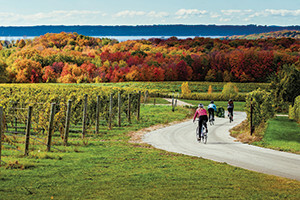 Named one of National Geographic’s 2012 “Ten Best Summer Trips”, Traverse City resides on the edge of Lake Michigan’s Grand Traverse Bay. Its striking characteristics include miles of sandy beaches, sparkling blue waters, and glacier-carved lakes and hills. In the area is the stunning Sleeping Bear Dunes National Lakeshore, once voted “Most Beautiful Place in America”, making the Traverse Bay a top choice for those who enjoy sailing, boating, beachcombing and kayaking, along with an engaging wine experience. This casual yet elegant beachfront retreat offers rooms with featherbeds, fireplaces, and many with private balcony hot tubs, right at the southernmost point of Pismo Beach and three blocks from downtown. Its ideal location is walking distance from tasting rooms and wine bars as well as gourmet restaurants. One can dine at the breathtaking third-floor restaurant where ocean views can be observed. This centrally located yet private destination is an ideal spot for beach weddings and meetings, and those seeking even more privacy may find themselves in the separate three-bedroom Beach House. Serving as the ultimate wine country retreat, Wine & Roses Hotel, Restaurant, and Spa resides on in charming Lodi, California. 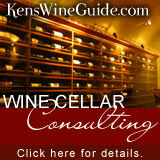 Its owners, Lodi natives Kathryn and Russ Munson, created an authentic destination for true wine enthusiasts. The outstanding seven-acre property offers serenity, beauty, and an intimate, luxurious atmosphere in the heart of Lodi Wine Country while being a place for those eager to discover Lodi and its sublime wines. 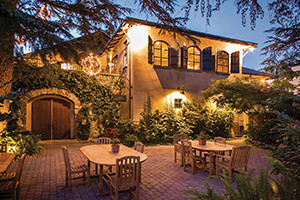 Possessing many distinct microclimates, The Livermore Valley supports an outstanding array of wine grapes, and is home to the unique, family-run Nottingham Cellars. This winery sources fruit from the region’s “best thought-out” vineyards, maximizing varieties’ potential. 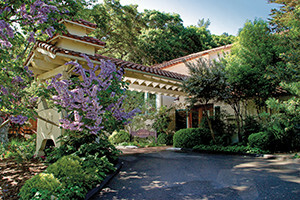 Nottingham Cellars’ enviable reputation originally comes from its limited-production single vineyard Cabernet and Bordeaux blends. Nottingham continues the reputation through its utilization of the region’s diversity, now producing their wine under three distinct brand names, while maintaining the region’s rich winegrowing history. Added to the portfolio is the Vasco Urbano label run by Collin Cranor who was recognized by Wine Enthusiast as “one of Livermore’s most promising young winemakers”, and son of owners Diane and Jeff Cranor. With an untouched countryside, Loudon County’s rolling landscape provides the perfect place to retreat for golfers, hikers, rock climbers, cyclists, and birdwatchers. 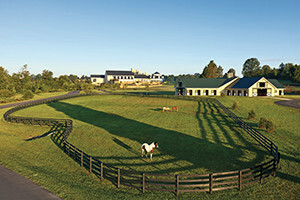 Its winding roads that lead past elegant estates and beautiful horse farms exemplify Loudon County’s proud equestrian legacy, including many race tracks, riding trails, shows, and equestrian-related museums. Loudon County is ideal for those looking for a charming and well-rounded destination, family farms, dozens of tasting rooms, as well as art exhibits, concerts, and theatre. With a tasting room overlooking Pepper Bridge Vineyard and the distant Blue Mountains, Pepper Bridge Winery is recognized for elegant, balanced wines handcrafted from grapes grown in its three Walla Walla estate vineyards. Of special interest to environmentally conscious wine-tasters, Pepper Bridge Winery was the first gravity flow winery and first certified sustainable winery in the state of Washington. Its enchanting wraparound deck appeal to those looking to enjoy their favorite wine while observing the awe-inspiring surrounding landscape. Pepper Bridge’s second tasting room, located in Woodinville, provides Seattle-area wine lovers a taste of Walla Walla and hosts many private events. A health and wellness sanctuary for more than 100 years, this Resort & Spa resides atop natural mineral springs, and offers 72 guest rooms and suites. Committed to wellbeing, the captivating landscaped grounds feature an award-winning spa and treatment center, an on-site yoga dome offering yoga, Pilates, Tai Chi, and meditation classes. This enticing and relaxed resort also hosts a restaurant featuring spontaneous garden cuisine inspired by the on-site Chef’s Garden, and serves as a starting point for hiking and biking trails that lead to the ocean and charming Avalia Beach. Originally built more than a century ago, this astonishing red barn was discovered in 1999 by Mary and Dave Hansen and became home to ArborBrook Vineyards. Located in the southern flank of Yamhill County’s Chehalem Mountain range, the beautifully charming barn now serves as a spacious tasting room and cold storage wine room, with space for the horses out back. Since Dave planted their first block of grapes 17 years ago, ArborBrook has become a desirable destination for its sophisticatedly rustic ambience, gorgeous barn and scenery, and its excellent wines that continually earn high acclaim. 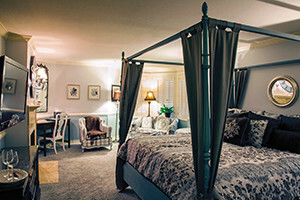 Located in the midst of three acres of landscaped grounds, the charming Apple Farm Inn offers 104 individually decorated guest rooms, each with its own fireplace. Apple Farm’s grounds provide a place for exploration, with an old mill, a two-story gift shop, a relaxing massage center, and a legendary restaurant and bakery open for breakfast, lunch, and dinner. The summer months are the perfect time to plan your getaway as the inn hosts a multitude of lawn activities and winemaker dinners. Great article Ken, thank you. I am currently planning a trip to the US starting April 2017 and will be heading first down the Oregon Coast from Canada, so the ArborBrook Vineyards in Newberg will be a stop for sure.